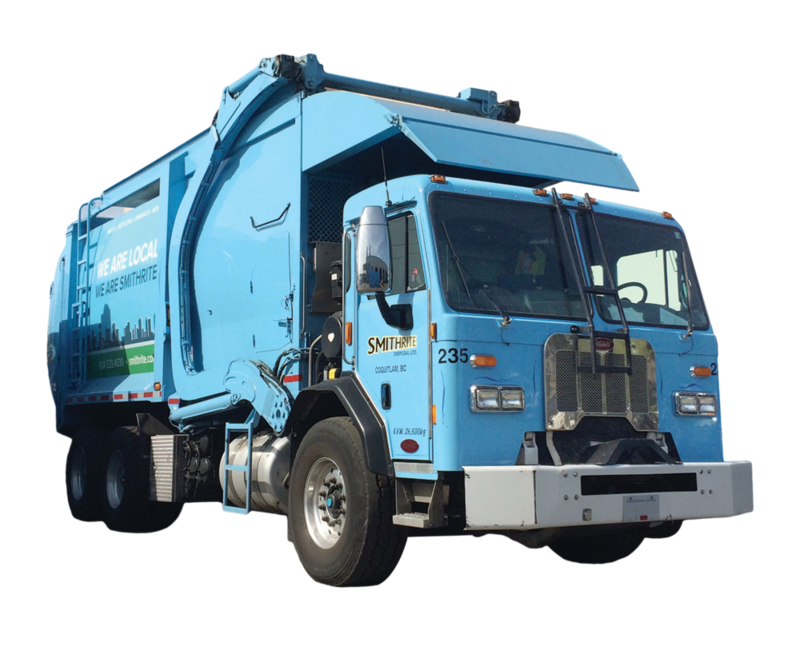 Smithrite is a BC owned and operated waste and recycling collection company. We have been in business since 1947 servicing the Lower Mainland, Fraser Valley, BC interior, and Alberta. Smithrite has expanded its business by providing excellent service with competitive rates. We work with homeowners, corporations, and municipalities. We strive to help our customers solve their recycling challenges in innovative and cost-effective ways. Solid waste collection, including non-recyclable materials or refuse. Collection services for cardboard, mixed paper, containers, and other recyclables. Food waste collection, yard trimmings and other compostable materials. Smithrite’s headquarters are located in Coquitlam, BC. Our customer service team and resources are coordinated locally, available to attend any needs that may arise. Our fleet currently has over 130 vehicles ready to service your location. We have a vested interest in providing the best possible solutions for your business or household, and to minimize environmental impact. Our focus is on providing a reliable service. We offer clear pricing and do not add unnecessary fees to your bill. We do this while optimizing our resources to be eco-friendly. Our fleet currently includes multiple CNG vehicles and is on its way to become completely reliant on this fuel source.